28th International Conference on Pediatrics Health : Vydya Health - Find Providers, Products. 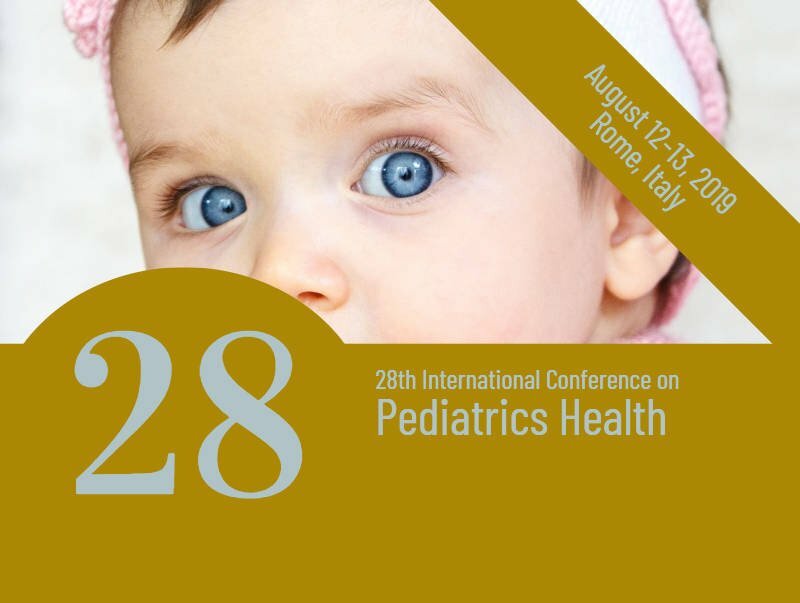 Pediatrics Health 2019 kindly invite you to attend the “28th International Conference on Pediatrics Health” which will be held during August 12-13, 2019 Rome, Italy. Pediatrics Health 2019 aims to promote continuous medical education and encourage a nourishing exchange of facts and ideas about the Health of Infants and Children. This will be the best chance to impact the biggest gathering of members from the Pediatricians. On this auspicious occasion, Organizing Committee cordially invites all the Pediatricians, Scientists, Researchers, Pediatric Nurses, Pediatric doctors, Educators, Pharmacists and other healthcare professionals interested in the up-gradation of the healthcare requirements of pediatric patients suffering from health disorders.